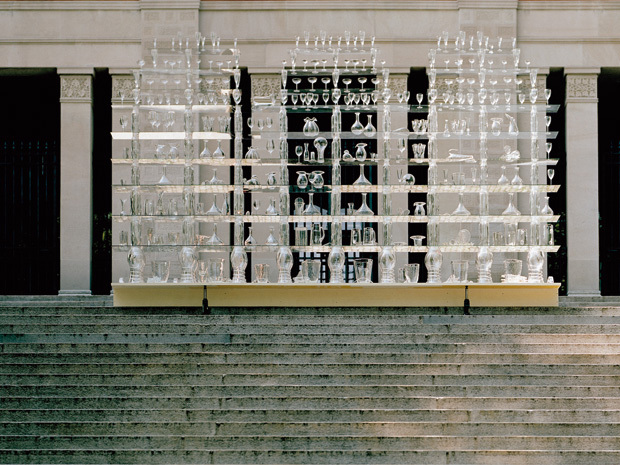 On 1 June 2003, a glass shelf (320x500cm) filled with crystal glass objects, was crashed down a flight of stairs. In collaboration with the ensemble for new new music zurich, the recorded soundscape was translated into a composition. On 11 July, the ensemble played RH No. 202 for the first time live for an audience at the Centre d’Art Contemporain in Geneva. Special thanks to the ensemble for new music zurich.